Father's Day Teddy Bear - 11"
Have fun with dad this Father’s Day and give him a gift he’ll always enjoy. This Plush Teddy Bear has a great look and wears a t-shirt that is personalized just for Dad! Underneath the t-shirt, this Father’s Day Bear wears a tie! Press his hand and he will say different phrases including, "Having a Dad like you is so fun, You're the best dad ever, You're my hero & Love you Dad". This teddy bear is our Andrew Bear! Andrew is a talking Gund Teddy Bear that measures 11" tall. He has soft red brown fur, black eyes and a brown fur nose. The bear wears a blue stripy tie. Suitable for ages one and over and is surface washable. Free personalization of any two line custom message is included. Free Gift Wrapping and a Free Gift Card are included to create a thoughtful presentation. No rush shipping is currently available with this item. 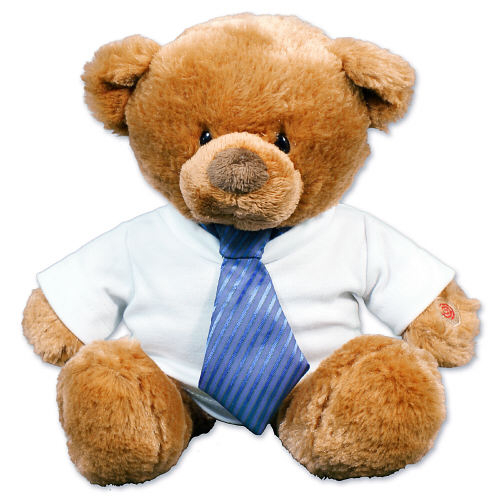 Just imagine the smile on your child's face as he or she gives this handsome teddy bear to Dad on Father's Day! Press his hand and he will say different phrases including, "Having a Dad like you is so fun, You're the best dad ever, You're my hero & Love you Dad". 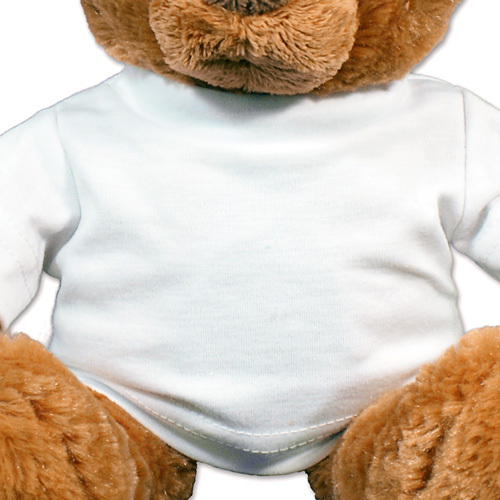 This Teddy Bear wears a t-shirt that can be personalized with any one of our fun designs. This teddy bear is our Andrew Bear! Andrew is a talking Gund Teddy Bear that measures 11" tall. He has soft red brown fur, black eyes and a brown fur nose. The bear wears a blue stripy tie. Suitable for ages one and over and is surface washable. Free Gift Wrapping and a Free Gift Card are included to create a thoughtful presentation. Additional Details Make this Father's Day one to never forget with a Plush Animal that is made just for him! 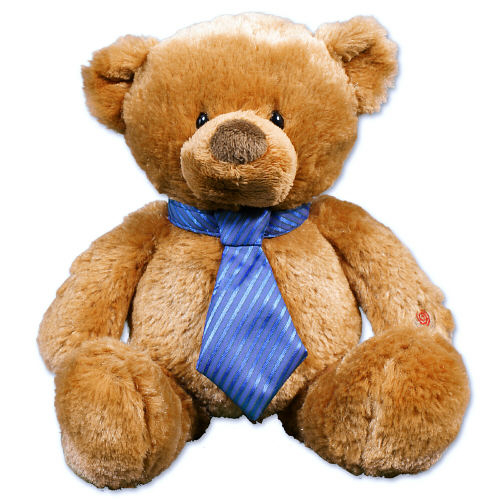 If you like this Plush Father's Day Teddy Bear, then be sure to also take a look at our Plush Keepers Father's Day Bear as well. Shop 800Bear.com for more Plush Father's Day Gift Ideas.